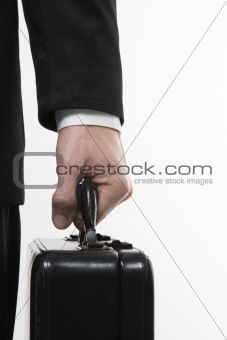 I’m looking to make a book cover that feature a waist-height picture of an IRS agent holding a clipboard and a reptilian alien holding a briefcase. 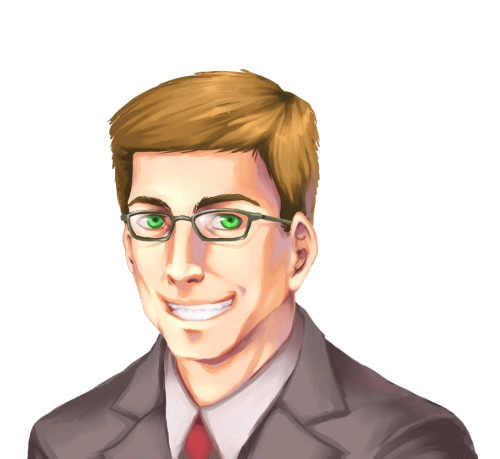 For stylistic references, here are headshots of the two characters. UPDATE: You do not have to use the characters’ upper bodies. I’ve only included these two pictures for a style reference and so you see what they’re wearing. For the pose, I’d like to focus on what the two characters are holding. Agent Black would, on the left, be holding a clipboard and Agent Orange would be holding a briefcase on the right. I’d like it to be orientated like these two pictures. I’d like the emphasis to be on the hands and props, so please do not incorporate the upper bodies or heads of the characters. 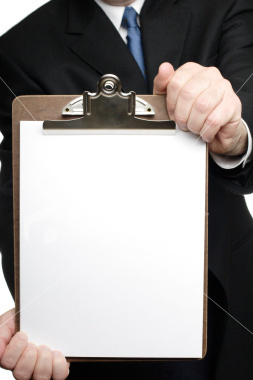 I’d like the clipboard to look neat and professional, like this. On the reptile’s briefcase, please place this logo facing the audience. I feel like a reference for the reptile’s hand and claws would probably be useful. This one comes courtesy of LizaIsMyName. If you compare the picture below to the original on her website, please note that I’ve modified the picture slightly by making the claws straighter. 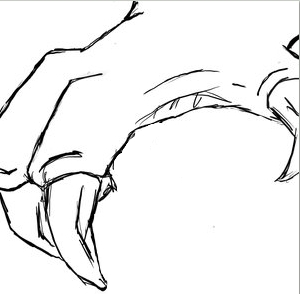 I’d like the claws to look mostly neat and straight because I think that will help readers suspend their disbelief that a US government agency might hire an alien. On a final note, I’d like the reptile to only have four claws. 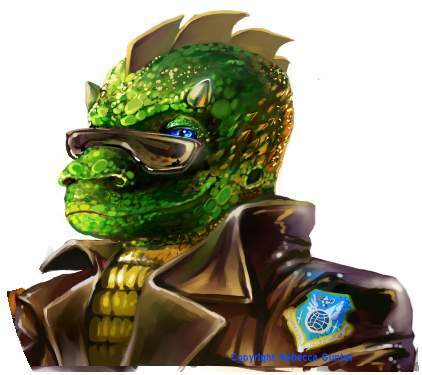 Also, as you can see in the character shots at the top of the page, I’d like the human wearing a business shirt and suit and the reptile wearing a trenchcoat. I’ll handle the text and background. Thanks! If you think this would interest you, please send me an e-mail at bmckenzie05-at-gmail-dot-com. As for payment, I’ve never actually subcontracted out this sort of work, so I’d feel a lot more comfortable if you could offer a price estimate to me.